The data security world changes so quickly it can be hard to keep up with the latest threats to corporate data. With countless stories of breaches, phishing scams, insider threats, government whistleblowers and cyber warfare, 2018 was the year all eyes turned to security teams and their role within an organization. In this webinar, a panel of security experts will recap the year in data security, with critical lessons learned, tips for security teams, a few fun stories and more. 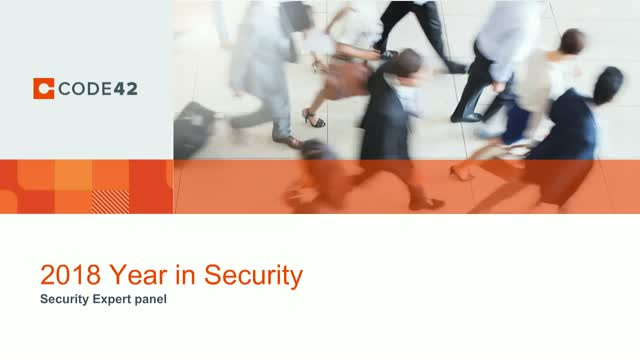 Join us to hear from your security peers about what they learned in 2018 and what they expect from the year to come.